Everybody loves a good arm party. We know that. It is a well established fact. But what about your ankles. That's right, that naked part between the calf and foot, let's dress it up. 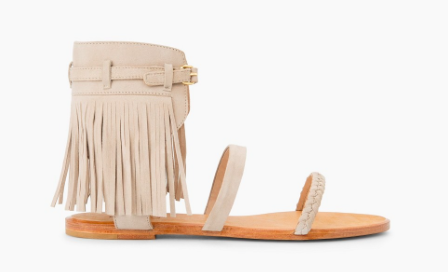 I'm not talking about a friendship anklet, I'm talking about cuff sandals. A special type of sandals that treat your ankles like the hard working parts they are. Embrace the ankle, ladies. Look at this playful and casual sandal that works so well with shorts or a maxi. How about this cuff? It comes in two other neutral colors and they are all 50% off. 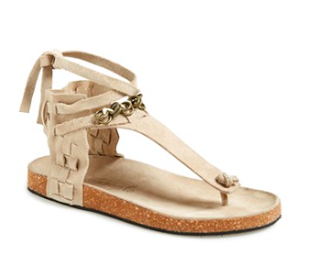 These remind me of the still unclear Birkenstock revival this summer but they have a bit more personality. This will be such a staple in your closet this summer and for years to come. Sleek and sharp. Don't leave that ankle bare! 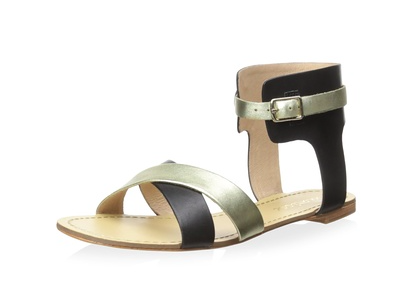 Celebrate it with these ankle cuff sandals that add some personality to your flats!